Ever wondered about the difference a shower can make? If you have never experienced homelessness, chances are your answer is no. Most people take access to personal hygiene for granted. But basic hygiene is not available to those experiencing homelessness. 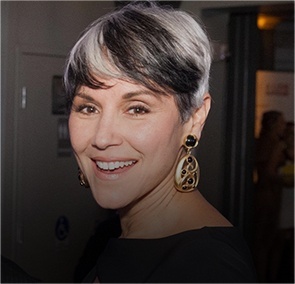 Lava Mae is a nonprofit organization that recognizes the profound impact this lack can have and seeks to alleviate it by making hygiene and sanitation services available to people experiencing homelessness in San Francisco and Los Angeles. We had the pleasure of speaking with Doniece Sandoval, the founder and CEO of Lava Mae, about Lava Mae's story. The concept of Radical Hospitality arises from the realization that our society has different standards of dignity for those experiencing homelessness and those without resources than it does for those with resources. To Lava Mae, this means providing a level of care that those with resources have come to expect for those without them. This unexpected level of care can have a profound impact on people moving through homelessness. In a society that devalues and dehumanizes those moving through homelessness, radical hospitality can restore dignity, rekindle optimism, and encourage a sense of opportunity. A woman experiencing homelessness in San Francisco cried that she would never be clean. And someone not only heard, she listened. Doniece listened to this woman’s cries. She heard the subtext they carried. Never clean. Always dirty. Never valued. Always without dignity. No doubt many people had walked by and heard the woman’s cries. But Ms. Sandoval listened and the woman's words stuck with her. "It hit me that every visibly homeless person I saw was struggling with hygiene... I found out what an appalling lack of toilets and showers [San Fransisco] had available for people experiencing homelessness. When I saw the article in the local newspaper about the FEDS giving millions of dollars to replace the diesel buses, all the bells went off." Ms. Sandoval is an avid lover of food trucks with a strong desire to help those experiencing homelessness. These seemingly disparate interests combined to create the idea of mobile hygiene services. Lava Mae was formed by Ms. Sandoval, along with other private citizens, who believe firmly that showers and sanitation are not luxuries, but human rights. In June 2014, Lava Mae jumped its most difficult hurdle and offered its first mobile hygiene services. "The most difficult thing was just getting the bus built. After talking to the city, they donated the buses to us... there was a lot of energy around [the bus]. So the hard part became finding the company that would do the work for us." 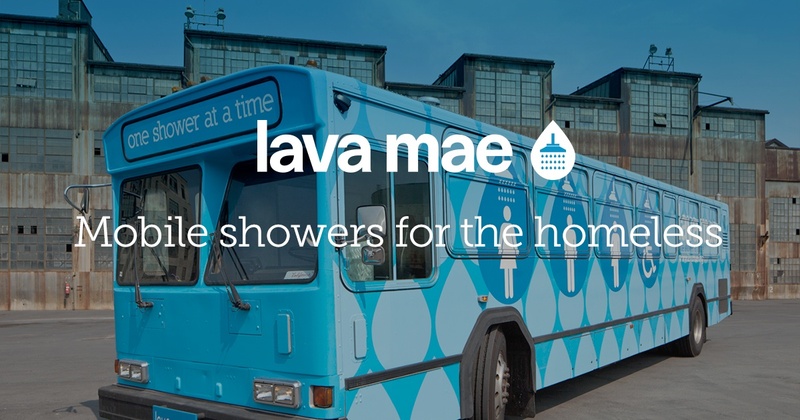 Over the past 3 years, Lava Mae has provided 17,000 showers for 3200 people and raised awareness about the lack of sanitation and hygiene available to people moving through homelessness. The difference a shower can make is astounding. But the folks at Lava Mae understand that those experiencing homelessness have a range of needs, including and beyond basic sanitation and hygiene. The Pop-Up Care Villages are designed to bring together a variety of organizations aimed at serving the people experiencing homelessness. In addition to showers, people who visit a Pop-Up Care Village have access to free food, clothing, medical assistance, and even legal advice. "We wanted to put the guests first and create real human-to-human connection to show how valuable that can be. As we looked at what the needs were, one of the things that saw was that these people were running from one location to the next to get critical services met—there's no one-stop shop in San Francisco. This makes it very difficult for people to move out of homelessness." Doniece and her team met up with one of their partners, Project Homeless Connect. Project Homeless Connect holds an event where over 50 providers come together under one roof to provide a whole day of all these services—but it only happens once a quarter. Visit their Pop-Up Care Village at SXSW! Click here to see their Facebook event! After meeting with Project Homeless Connect, Doniece and her team decided to marry the Lava Mae "food truck" idea with Project Homeless Connect's day of services. Lava Mae wanted to bring critical services to the streets to provide as much of a one-stop-shop as possible at a much higher frequency than once a quarter. Lave Mae has seen that a basic shower can restore dignity. With that dignity, comes possibilities. The Pop-Up Care Villages provide other services that can foster possibility and hope for people experiencing homelessness. 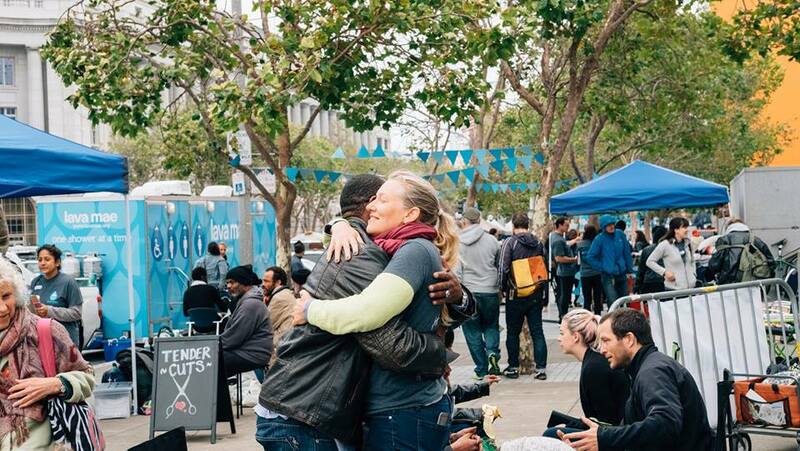 Radical Hospitality requires people on site to give an unexpected level of care. 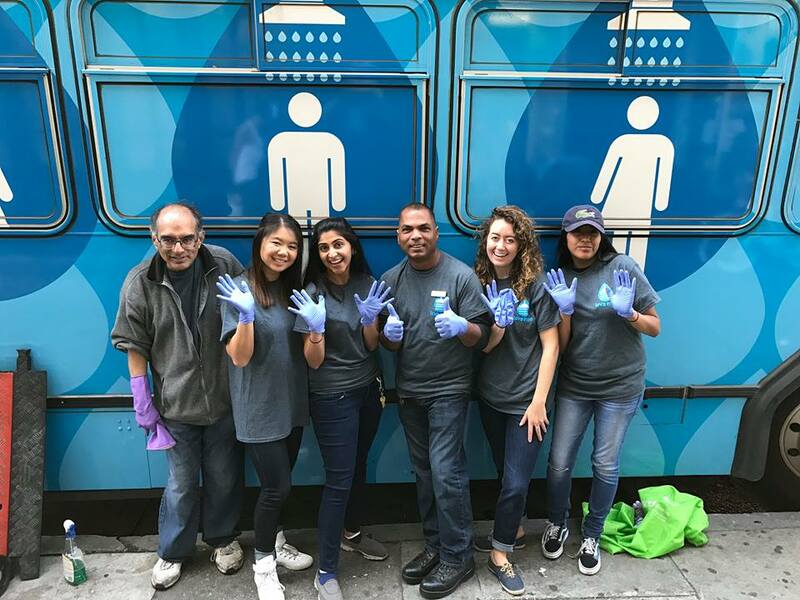 Lava Mae is always accepting volunteers to serve at their San Francisco and Los Angeles mobile shower service locations. Think you have more to offer? 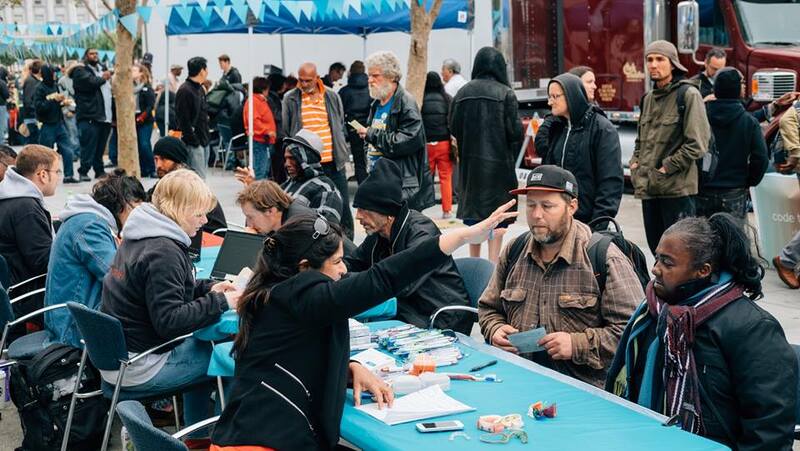 Non-profit providers, social entrepreneurs, and city agencies that can increase access to necessary services and boost resilience among those experiencing homelessness are invited to participate in Pop-Up Care Villages. If you live anywhere other than San Francisco and Los Angeles and are inspired by Lava Mae, don’t worry. You can still help. If you are interested in creating a similar service in your community, you can fill out the Lava Mae Replication Survey. Lava Mae has outlined eight steps to get you started here. Lava Mae also accepts donations. You can assemble hygiene kits or run a donation drive for necessary sanitation items and mail them to Lava Mae. Additionally, it’s easy for individuals to make a monetary donation, either monthly or one-time online. If you’re interested in joining companies such as Google, Kohler, and Kind in providing corporate support, contact donations@lavamae.org. "People have this belief that you have to do something grandiose in order to change the world. But sometimes the smallest things really make a difference. Like, when you're looking at homelessness, acknowledging someone's presence is huge, because they're such an invisible population. Society seems to work really hard not to look at them when we pass them, or they receive so much scorn. Even just making eye contact and nodding your head, saying 'good morning' as you pass, or whatever you do to acknowledge and witness their presence in our community makes an impact." Lava Mae does more than provide showers. It is an organization that is having a profound impact on the way our society views people moving through homelessness. By simply treating people without resources as equal to people with resources, Lava Mae highlights our shared humanity. Lava Mae inspires collaboration towards a common goal – to restore dignity to those experiencing homelessness and create a village that lifts one another up.